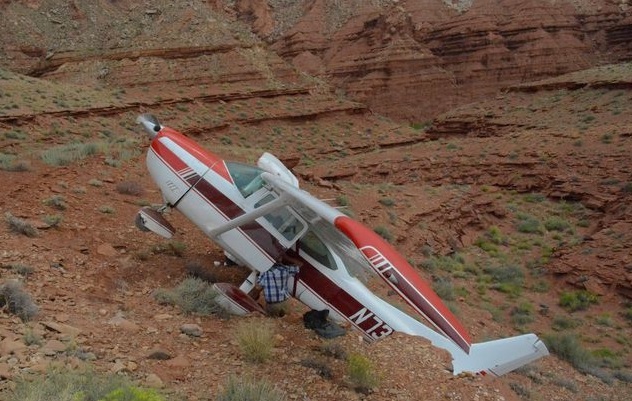 The article states: “A small airplane crashed shortly after takeoff at a remote airstrip in Emery County Saturday afternoon. The following video by utahbyair.com shows several remote airstrips in southern Utah including the location where the above crash occurred. Small airports may have a wind sock, but most remote airstrips have nothing. In either case, a Dyacon weather station can provide advisory information for a measure of safety and convenience when planning flights. A simple text message request to a Dyacon weather station provides current conditions in conventional or METAR format. Data is also available through WeatherUnderground, providing current conditions as well as trend information. Weather stations can be installed by users for permanent or seasonal applications. Dyacon also offers lease options for temporary applications such as short term events or seasonal use. For wireless services, Dyacon has a direct relationship with Verizon, providing the broadest geographic coverage. This area can be extended by adding a Dyacon directional antenna.